Getting Shredded Has Never Been Faster Or Easier! Now… Imagine what it would feel like to be staring down at a ripped set of six-pack abs. That would feel pretty good, right? Well, I want you to know, this is possible for you. So what the heck makes my methods different than the MILLIONS that are out there? Once I implemented these simple strategies... I was FINALLY able to get ripped six-pack abs, and so did my wife! In short… My methods WORK. It’s really that simple. That isn’t to sound braggy… I hope that doesn't sound braggy. I’ve just been in the "trenches" for nearly a decade studying, testing, tweaking, and perfecting the best possible for solution for my clients to get the lean body they want. Just by reading the words below and taking action, you can have a better body in next 7-days… Even losing as much as 8-pounds of pure fat in that time like my client Brian did. So take what we cover below seriously and start implementing it today. 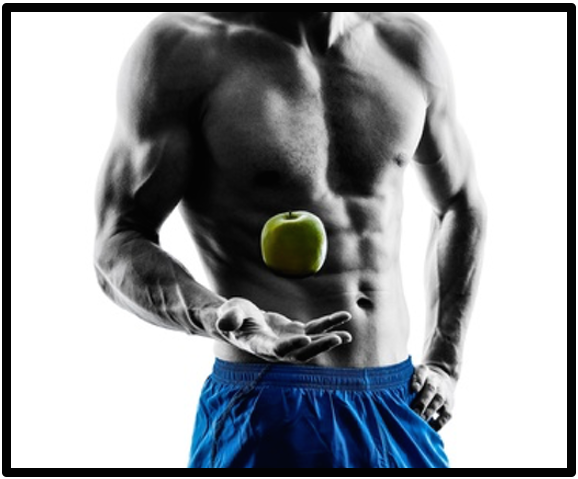 I’ve tried EVERY nutrition approach you can think of and followed every rule. Nothing works better than what I am about to share. If you just used this technique by itself, you’d burn a few pounds of body fat in the next few days. It’s that powerful. I call it Flexible Intermittent Fasting. First, let me define Intermittent Fasting... In short, it means "the act of cycling between a period of fasting and non-fasting." This style of eating has become extremely popular in the last few years, and for very good reason. Plus, it makes dieting EASY! Especially when you follow my FLEXIBLE approach. See, most intermittent fasting protocols tell you to eat between a certain time “window”. For example, you would fast between 8PM and noon then eat between noon and 8PM. No excuses. However, what happens if you wanted to go out for a late dinner with your friends or significant other? Are you really just going to sit there and NOT eat? That’s where I struggled and why you need a more flexible approach. Instead of “rules”, you give yourself GUIDELINES that will allow you to still get the results you are looking for without having your diet interfere with your social life. For me, this means I have a flexible window between 10AM and 10PM. Some days I’ll fast for as many as 16-hours while other days it’s 12-hours. Now you may be wondering… Don’t you get hungry when fasting for that long? As you will quickly find out, Flexible Intermittent Fasting is an incredible way to eat MORE of the foods you love as you shed body fat fast. The lies that we are fed. Again, I’ve fallen for ALL of these and more. 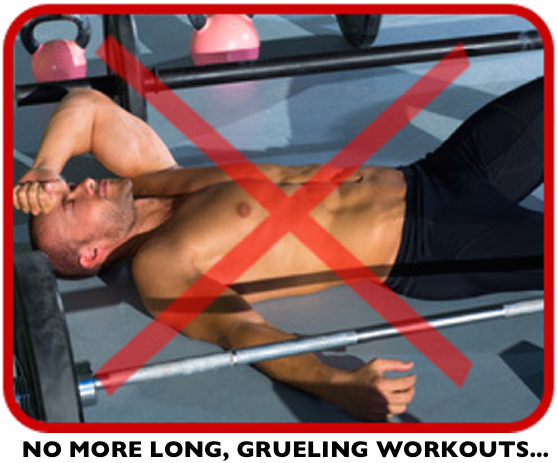 The Solution: Train hard for 30-minutes, 3-times per week and you will drop body fat fast. Add in 2 more days of 10-minute sprint intervals and you’re results will be even better. That means you need LESS THAN 2-hours PER WEEK to get into the best shape of your life. That is… IF you are working out properly. I would lift for 20-minutes, run for 20-minutes, and do abs for 5-minutes. It IS possible. I know because I’ve done it, and hundreds of my clients have done it. Finally getting to the point of seeing your abs and being super lean all comes down to progress. Progress in your diet. You workouts. Your lifestyle. If you can work on getting 1% better each day, you'll be amazing at what you can accomplish in the next 21-days. 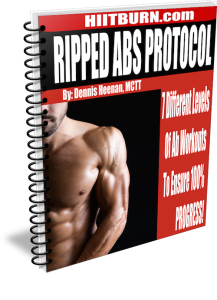 To give you a step-by-step outline on how to get your confidence back and finally see your abs in the shortest possible time. For some, this may mean seeing a ripped set of six-pack abs for the first time ever. For others, this will mean going from having a “zero-pack” to a 4-pack. That’s great progress. Especially in only 21-days. This plan is the fastest way to burn body fat, period. Discover The Truth Behind Carbohydrates And Why YOUR Specific Body Type May Allow You To Eat MORE Of Them While Still Burning Fat! 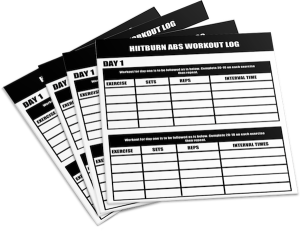 The workout log sheets give you an easy to follow outline on the exact reps and sets you should be doing for each and every workout. This will help you progress each workout so that you are getting stronger and leaner as you continue following the program. These will also help keep you accountable and focused in all your workouts each week. These alone will be a game changer for you because of the accountability and simplicity that they bring. Discover my most powerful techniques for building your strongest, leanest, and best looking body in less time. You'll get instant access to a full workout programs, extensive exercise library, 30 day challenges, weekly workouts, community support, and so much more. Included in this special BODYWEIGHT SHRED offer, you'll get 14 Days FREE to try out HIITBURN Inner Circle. After your special 14 day trial, membership is just $47/mo. You may cancel at any time with no questions asked. 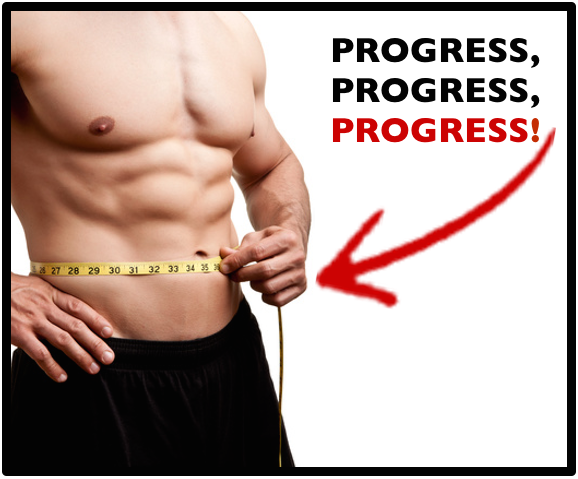 We've talked about progress and how important it is to seeing the results you want. The same exact thing goes for when you train your abs. You need to be progressing each and every workout. In this ADD ON program, you will discover 7 different levels of ab workouts that you can do to ensure that you are making progress, getting stronger and leaner abs each workout. Each level also has a "test" you have to pass in order to move on. This Is The Fastest And Easiest Way To Burn Fat! Listen, this program is the fastest way for you to burn fat. I can say that with confidence because I've been through it multiple times in the last few years as have hundreds of my clients. If you want to experience results like you've never seen before, the time is now. Dedicate the next 21-days to following the step-by-step plan and if you haven't shed AT LEAST 8-21 pounds and 2-4% body fat, I will refund your money. Are you going to be leaner, stronger, and seeing your abs for the first time? So... What's this going to cost me? I've been straight with you this whole time, so let's get right to it. Because of the results this program brings, it's worth well over $47. That being said, my goal with this program is to reach as many people as possible because it's truly something that will change your life. And because I don't have overhead costs since this is 100% downloadable, I've decided to make this full program AND bonuses available for just $15. $15 puts the program within the reach of the vast majority of people. Anyone who's not serious enough to invest $15 into changing their body in just 21 short days isn't serious enough to follow this system anyway. So if you're serious about transforming your body the SIMPLE way, through a flexible diet plan, shorter workouts, and continued daily progress... click the "Add to Cart" button below. If you need to justify the expense, skip going to the movies this weekend and watch a Netflix series instead! Remember, when you order today, you get instant access to BODYWEIGHT SHRED, the Bodyweight Shred Workout Log Sheets, and a special 14 day FREE access to the HIITBURN Inner Circle membership site. After the 14 day trial period, membership is only $47/month. You may cancel easily at any time. No questions asked. My "RESULTS You'll Love" Guarantee! Guarantee #1: If for any reason you think my program isn't the best $15 you've ever spent just send me an email at dennis@hiitburn.com and I'll gladly refund your whole $15. Guarantee #2: If you actually DO what I show you in this program, go through the workouts, and follow the nutrition plan... And if you haven't lost 8-21 pounds in the next 21-days or 2-4% body fat, I'll fully refund your money PLUS I'll give you one of my other programs absolutely free. All I ask is that you give me an honest effort in these next 21-days. Here's to your best results in the next 21-days! P.S. Remember, you’re getting instant online access to everything you see on this page in the next 2-minutes – all for just $15 today. Plus, I am taking all the risk because remember, you are backed by my 60-day RESULTS GUARANTEE. Love it or hate it, you have 60-days to try out the program (that means you can do it 3 times through if you want) and if for any reason at all, I'll refund your money if you aren't satisfied. P.P.S. Remember, you won’t find this system or these techniques anywhere else. There are certainly other workout programs out there, yet none will get you faster results. Take these next 21-days to see what you can accomplish. When you order today, you get instant access to BODYWEIGHT SHRED, the Bodyweight Shred Workout Log Sheets, and a special 14 day FREE access to the HIITBURN Inner Circle membership site. After the 14 day trial period, membership is only $47/month. You may cancel easily at any time. No questions asked. 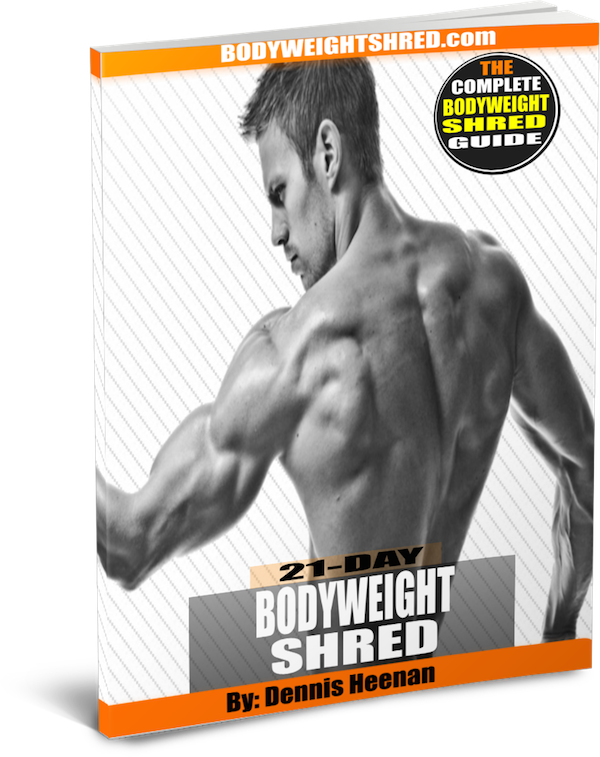 NOTE: Bodyweight Shred is an e-series that is completely downloadable. Nothing will be physically shipped. After your order, you will get instant access to the product components to download on to your computer. The format for all manuals, reports, checklists, etc. is Adobe Acrobat PDF. It is compatible with Mac and PC! I agree to keep everything within the HIITBURN Inner Circle confidential. I will not share HIITBURN Inner Circle content with others or share my username and password without getting express written permission from Heenan Enterprises, LLC. I understand that my purchase is covered by Dennis and Kelsey's 30 day money-back-guarantee. I understand that I can request a refund by emailing Dennis or Kelsey at dennis@hiitburn.com. I understand that if I decide not to cancel my membership after the 14 day trial membership, I'll continue receiving new videos and I'll automatically be billed $47/month.